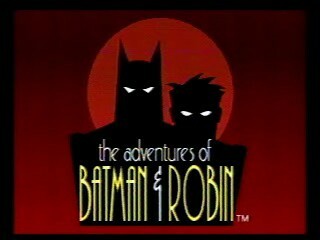 Released in 1995, The Adventures of Batman and Robin was hyped by video game magazines for its impressive graphics and smooth animation. However, when it was released, the game received mediocre reviews due to the repetitive levels and overly difficult challenge. You choose either Batman or Robin (surprise surprise) and take on the Joker, Two-Face, Mad Hatter, and Mr. Freeze, who all recently escaped from Arkham Asylum. Best time with deaths: 0:49:51 by Colin 'Musashi1054' Darczuk on 2013-05-18. This run is a single-segment of The Adventures of Batman and Robin. The game is generous with health so there are times where taking damage instead of avoiding attacks is faster. There is only one spot in the game where it is ideal to lose a life to speed things up. The previous run used the Bolo (Green) weapon during the second Two-Face stage which plays like a horizontal scrolling shooter. Towards the end of the stage, before the zeppelin segment, it is faster to use the Batarang (Red) weapon because its charged shots destroy the stealth bombers fastest and it defeats the three satellite cannons (the things that shoot Spaghetti O's) as well as the final boss helicopter. Also in the previous run, which is also still present in this run, is that there were many player shots that missed. During boss fights such as the Joker, less shots missed to gain more time. Time was also gained during the second Mr. Freeze stage by jumping over the ice machines (the ones that are after the tanks).